Focusing on an often under-appreciated portion of the continent, the book showcases forty species found in Minnesota, Wisconsin, Illinois, Iowa, Indiana, Michigan, and Ohio – but perhaps not for long. 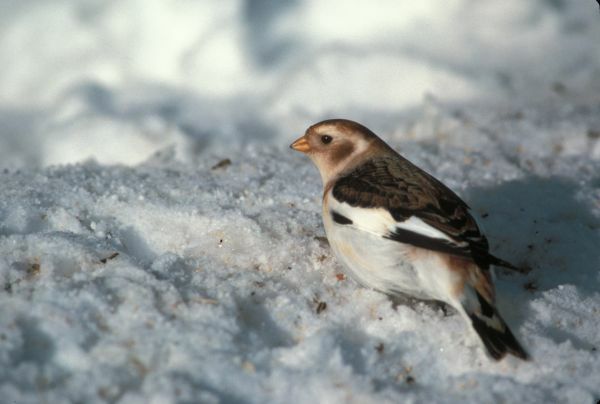 The selection of species is interesting and wide-ranging – obviously endangered and charismatic birds like the Kirtland’s Warbler and Whooping Crane are not neglected, but there is also a solid focus on common birds in steep decline like the Field Sparrow, Snow Bunting, and even the Herring Gull (whose recent gains along the Atlantic coast are more than offset by losses on the Great Lakes). This means that readers in or near the covered region will see not only aspirational birds, but birds they’re likely already familiar with – and read about not only the dangers that threaten even common birds, but also the concrete steps being taken to protect them. The result is a book that invites and doesn’t exhaust the reader. I honestly found it in many ways quite hopeful. Endangered and Disappearing Birds of the Midwest is far from exhaustive, but it’s a great survey for those just delving into ornithology, conservation, or the middle of the North American continent. Clearly written and lavishly illustrated, it would also be a good addition to the library for younger birders. 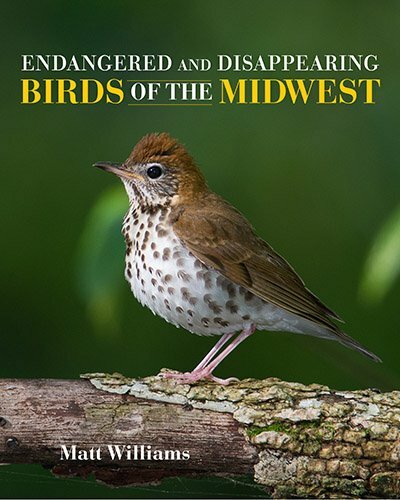 Endangered and Disappearing Birds of the Midwest by Matt Williams – Indiana University Press, $29.00.